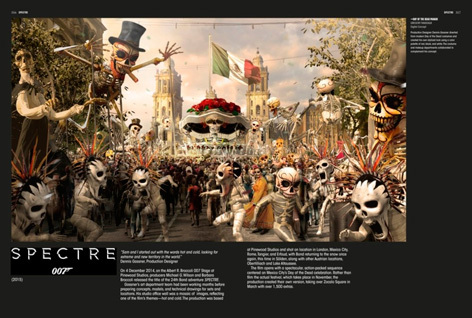 In celebration of SPECTRE’s opening sequence which was filmed in the city, Mexican fans will be able to see never before seen costumes, art department concepts and models which helped to create SPECTRE’s Day of the Dead festivities and action in Zócalo Square. More than 500 items, including costumes, gadgets, props, storyboards and models will be on show. Items on display include the sky-blue trunks worn by Daniel Craig in Casino Royale, Roger Moore’s spacesuit from Moonraker and Oddjob’s steel-rimmed bowler hat from Goldfinger. 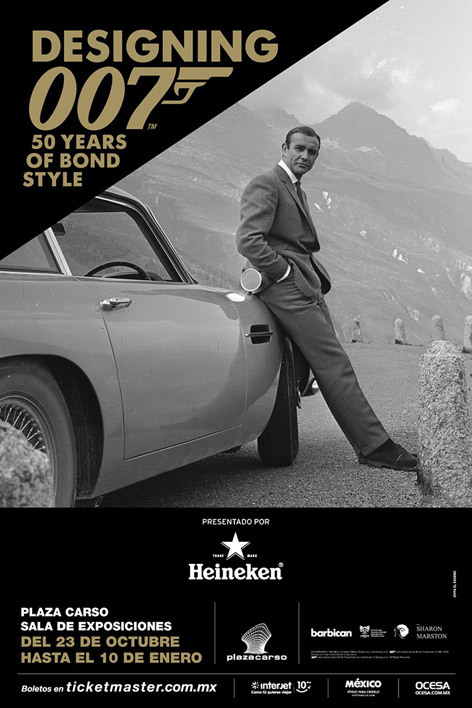 Celebrating more than 50 years of the James Bond franchise, the exhibition focuses on Bond’s influence on art, music, lifestyle, automotive design, travel, technology and fashion over the course of the past five decades. For tickets go to ticketmaster.com.mx (page available in Spanish and English). The exhibition was first shown in London at the Barbican Centre in 2012, and then traveled to Toronto, Shanghai, Melbourne, Moscow, Rotterdam and Madrid and has been seen by more than 450,000 people.